Greenfingers is managed by a small group of dedicated individuals. 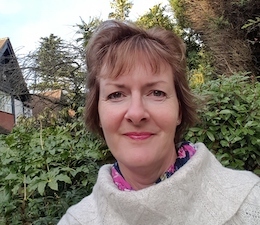 With over 15 years of charity fundraising, comms experience and project-management experience, working for local and national charities, Linda is responsible for Income Generation, overseeing PR and Communications and hospice and contractor relationships. Outside of work, Linda has two grown-up children, has recently rediscovered the gym, enjoys family time, dog walking, socialising and spending time in the garden. Contact Linda if you would like to find out more about the different ways you can support Greenfingers Charity and help make a difference to life-limited children and their families. Sally looks after our finances and resources and is a qualified accountant with a unique mix of commercial, financial, management, and project accounting. She has experience in organisations of varying sizes and sectors. Outside of work, Sally’s time revolves around her three children, husband and dog. She enjoys keeping fit, walking the dog, socialising and travelling. Contact Sally if you have a finance query, are interested in volunteering, or if you are a hospice and would like to find out more about Greenfingers Charity gardens. Sally's working days are Monday, Tuesday and Thursday. Mandy joined the Fundraising Team in January 2017 and provides general admin and fundraising support. Outside of work, Mandy enjoys spending time with her family, walking her mischievous dog, socialising and spending time supporting the community garden she helped to create in her local village. 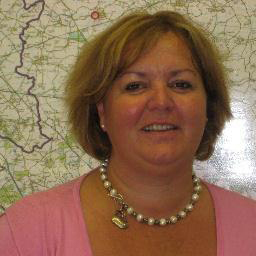 Contact Mandy if you would like support organising your own even or about any other aspect of fundraising. Mandy's working days are Monday, Tuesday (am), Wednesday and Thursday. 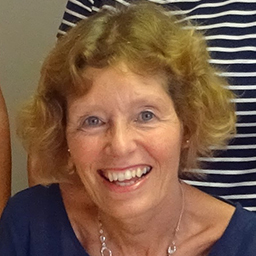 Previously a volunteer for Greenfingers Charity, Melanie now provides support for the Fundraising Team as a Freelancer. Coming from a magazine publishing and event-planning background, she is currently providing general fundraising and admin support. Outside of work Melanie is kept busy with her two teenage sons, dog walking and has a passion for gardening, interior design and yoga. Melanie's working days are Tuesday and Wednesday. Holly has been working in Garden Design and Project Management for the last 10 years and when she’s not working as the Project Manager for Greenfingers, she continues work as a garden designer for Coolgardens Landscaping. She is responsible for ensuring the smooth running of the garden projects from initial contact, through design, build and finally aftercare. When not at work Holly is busy in the garden or working at the allotment with her girlfriend. She devotes as much time to reading anything and everything as possible and will never say ‘no’ to a good cup of tea. Holly works two days a week for Greenfingers, working whatever days in the week are needed! Helen started as a volunteer for Greenfingers and now provides Digital Marketing support as a Freelancer. Her background includes working for various marketing teams in publishing and retail. She is currently providing social media and web content support. Outside of work Helen is busy with family life and she enjoys sunny days in the garden, fitness, food, film and seeing the world. Helen's is in the office every Monday.